It said that cheaper tour packages incorporating higher-quality activities-skiing, for example-are being encouraged to boost tourism development in the nation's northern areas. Zhangye, Gansu province, has embraced winter tourism in the past two years, promoting new themed activities with cheaper prices since Nov 1. Tickets to attractions in Zhangye will be sold at a 50 percent discount, or even given out free, to travelers during the winter season, according to a release by the city government. For example, tickets to Pingshan Lake Valley, a 4A-rated natural park featuring red rocks, are now sold for 50 yuan ($7.35). The discount, covering activities such as hot springs and winter sports, including skiing, will last until March 31. Northeastern Jilin province also released seven policies to travel agencies. The provincial government said that travel agencies that have chartered flights to Jilin will get a subsidy of 10,000 yuan ($1,450) per flight. Traveler's complaints will be received within 24 hours and responses will be given within seven workdays. The Changbai Mountain tourist attraction in Jilin is offering free access to travelers, domestic and overseas, until April 30. A report by the China Tourism Academy and online travel service provider Tuniu.com earlier this year said that about 170 million visits were made by Chinese travelers for winter activities in the past two years, generating revenues of 270 billion yuan. It's expected that more than 340 million visits will be made by Chinese travelers by 2022, with revenue expected to reach 670 billion yuan, according to the report. Li Bowen, a professor at the Tourism College of Beijing Union University, said that enriching tour packages is important, and can help increase the availability of facilities. 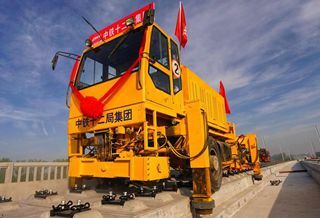 "Provinces in North China can develop products related to snow, while the southern provinces can take advantage of the warmer climate to offer travelers a different experience," he said. Han Yuanjun, a professor at the China Tourism Academy, said it was important to produce more creative winter tour packages and to enhance infrastructure to better serve travelers. Leisure activities like skiing have become a new driver of tourism development, which requires more sound infrastructure and strict regulation to protect the rights of travelers.